Butterfly and pollinator gardens. Naturalizing. 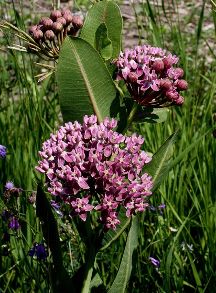 Similar to common milkweed but shorter and less aggressive. Showy and fragrant. Tap rooted - difficult to move or divide established plants. Threatened in Minnesota.